Avispa Midia, an independent journalism collective in Latin America whose work has appeared in translation on El Enemigo Común, recently launched a fundraising campaign to continue expanding their important work. 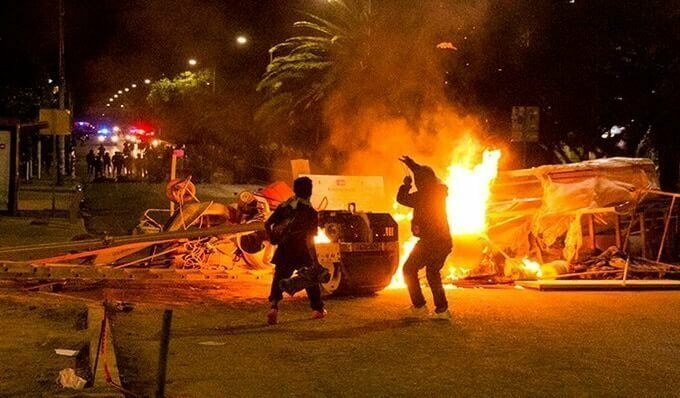 For the past four years, Avispa Midia has provided in-depth coverage of events throughout Latin America, from risky situations like the 2016 teachers’ protests in Nochixtlan, Oaxaca, where federal police assassinated 8 people, to catastrophes like the major earthquakes that devastated Mexico in September 2017. They have also worked throughout Central America and Brazil to investigate how military and police forces collude with organized crime to control populations and protect corporate interests. Today, this independent journalism collective — which has made the best of limited resources in the absence of stable funding — is asking for your solidarity so that it can continue to visit and document resistance movements and fix and replace basic equipment. The Following text is a translation of a statement from the Committee for the Defense of Indigenous Rights (CODEDI) following the ambush and killing of three of their members on Monday the 12th of February, 2018. The organization CODEDI (Committee for the Defense of Indigenous Rights) is an autonomous organization that works for the indigenous communities of the Southern Mountains, Central Valleys and Coast of Oaxaca, in solidarity with all just causes. We currently work with 50 communities, creating the dream of living in autonomy through daily practices, with more than 20 years serving the peoples of Oaxaca. We are part of different alliances in the state, country, and world; alliances based in processes of autonomy and struggle. The leader of our organization is Abraham Ramírez Vázquez, an indigenous leader from Santiago Xanica who was imprisoned from 2004 to 2011 by order of former governor José Murat, the father of the current governor. At 5 am on April 2, 1969, hundreds of FBI, CIA and NYC police agents armed with shotguns, bullet-proof vests and a shoot-to-kill attitude broke down the doors of dozens of houses, apartments and offices to serve arrest warrants on 21 key members of the New York City Black Panthers. According to the absurd accusations, based on information provided by three infiltrators, these men and women had conspired to blow up schools, department stores, police precincts and the New York Botanical Gardens. It was the longest trial ever held in the city at that time. Two years later, on May 13, 1971, the Panther 21 were acquitted of all charges after only 45 minutes of jury deliberation. Originally published in 1971, Look for Me in the Whirlwind: The Collective Autobiography of the New York 21, written in prison, emerges anew with additional texts that point to the relevance of this experience for the struggles of this century. Here we find poems, stories, analyses, eulogies and songs never or rarely seen before. 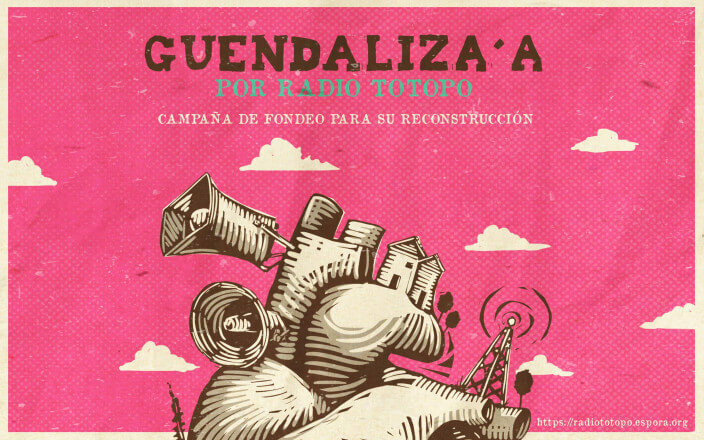 In Oaxaca, México, Radio Totopo is raising funds to rebuild their community radio station following September’s devastating earthquakes. Radio Totopo is a community radio that has transmitted from the city of Juchitán in Oaxaca, Mexico for more than 10 years. Totopo’s work in the community has earned it the respect and backing of local residents, who recognize the radio as a space that uses their diidxazá language to reflect their ancestral culture as Binnizá, or Zapotec, people. Totopo has also established itself as a vital cultural and community space that serves as a physical meeting point for community members. There children take academic classes; a gallery space features paintings and photographs, documentary screenings, concerts, and the sale of traditional food; and the Popular Assembly of the Juchiteco People holds regular meetings. All funds collected will be delivered equally to two different autonomous brigades. One of the brigades is comprised of collectives and organizations that work directly with affected communities, taking aid and supporting the community in alternative healing practices. The other brigade is composed of 2 doctors and other volunteers taking aid and engaging in medical assistance and now setting up two community kitchens feeding approximately 13 – 15 families. Two strong earthquakes battered Mexico this September. The first, with a magnitude of 8.1 degrees, hit the states of Chiapas and Oaxaca on September 7th; the second arrived on September 19th with a magnitude of 7.1 degrees, affecting areas in Puebla, Morelos, Mexico City, and Mexico State. 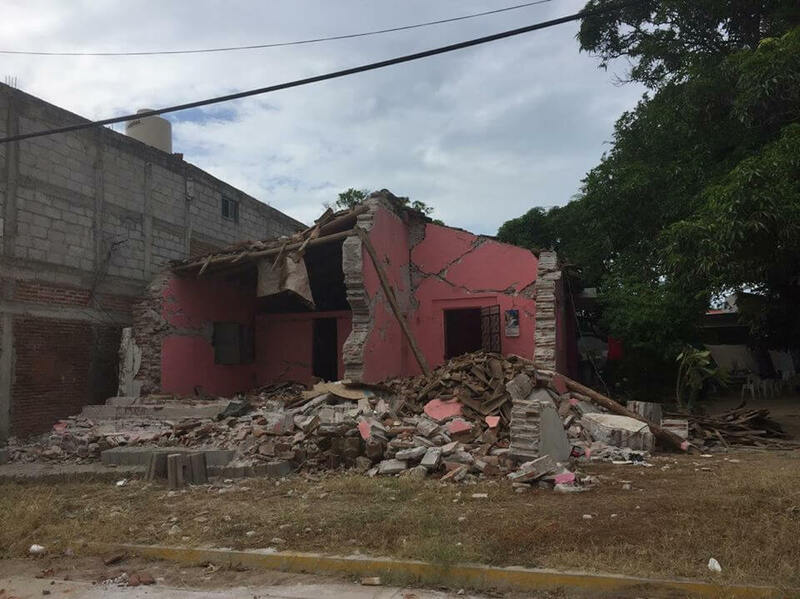 In Oaxaca in the South of Mexico, two of the most devastated zones were the Isthmus of Tehuantepec and the neighboring Sierra.